The TCRC National Executive Board recognizes the importance of education and in 2008 established an annual bursary program. The Teamsters Canada Rail Conference National Bursary Program is available to the spouse, child or grandchild of an active TCRC Member. The Scholarship was specifically created for eligible members who wish to continue their education in their current field or expand into a different industry. Our scholarships are meant to help our members afford tuition for post-secondary institutions and certificate programs. 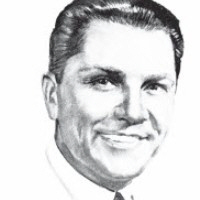 James R. Hoffa became a Teamster member in 1934 and served as General President for 14 years, and, in recognition of his tireless service to the union and its members, was honored as General President Emeritus for life. $1.2 million in scholarship awards to the sons and daughters of Teamsters. The International Teamster Women’s Caucus (ITWC) awards two (2) scholarships annually not to exceed five hundred dollars ($500 USD) each to deserving high school seniors based on academics. All applications must comply with the following eligibility and application criteria.